Robert Justin Goldstein is Emeritus Professor of political science at Oakland University, Rochester, Michigan, and Research Associate at the Center for Russian & Eastern European Studies at the University of Michigan at Ann Arbor. He has written and edited numerous books on modern American and European history, including Political Repression in Nineteenth-Century Europe (1983), Political Censorship of the Arts & the Press in Nineteenth-Century Europe (1989) and (ed.) 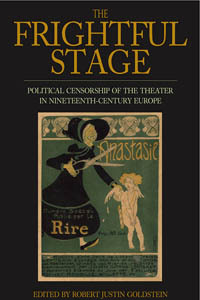 The War for the Public Mind: Political Censorship in Nineteenth-Century Europe (2000).